Kaydon Corporation Bearings Division has added engineering information and an R&D and testing section to its website, www.kaydonbearings.com. Visitors to the website can learn more about how Kaydon’s exceptional engineering services help customers solve even the most demanding bearing challenges. 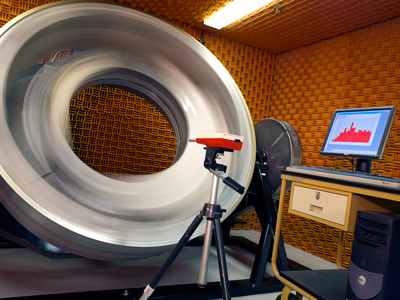 The website’s new research, development, and testing section describes the measurement, inspection, analysis, and testing tools used by Kaydon engineers to recommend the best possible bearing solution for each customer and application. Kaydon infinite® expertise in bearing design and manufacturing has established Kaydon as the leading thin section and slewing ring bearing remanufacturer in the world. Kaydon Bearings is a division of Kaydon Corporation. Kaydon invented the thin section bearing and is a leading supplier of thin section, slewing ring, and remanufactured bearings. Kaydon Corporation is a leading designer and manufacturer of custom-engineered, performance-critical products, supplying a broad and diverse group of alternative-energy, industrial, aerospace, medical, and electronic equipment, and aftermarket customers.